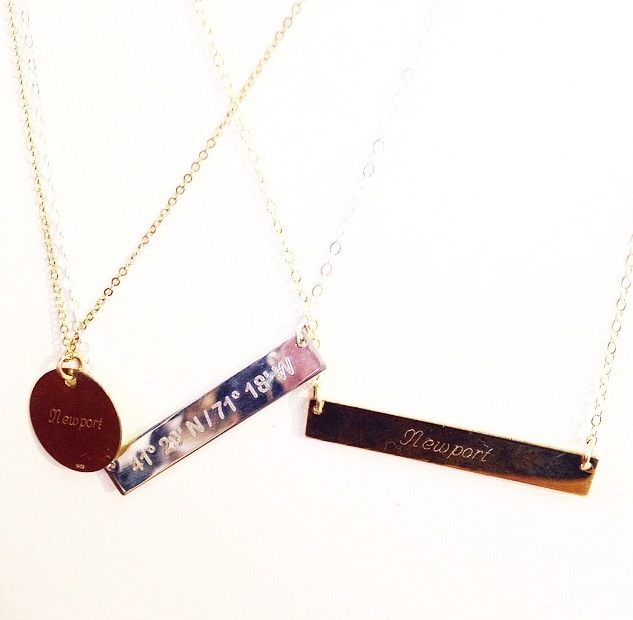 How great are these “Lat & Lo” necklaces, named for Newport’s latitude & longitude coordinates? They were spotted at Island Outfitters and are proudly handcrafted in the US. Available in 14k gold filled, solid gold or solid sterling silver metals, each Lat & Lo piece is custom ordered (so they take a little time). Starting at $48. Entry filed under: Uncategorized. Tags: Island Outfitters, Island Outfitters Edgartown, Island Outfitters Fairfield CT, Island Outfitters Holebook, Island Outfitters Newport ri, lat & lo, latitude jewelry, nautical jewelry, nautical style, newport ri bridesmaid gifts, newport ri jewelry, newport ri rehearsal dinner styl, newport ri wedding gifts, newport ri wedding jewelry.